in Phoenix Arizona, is an architectural practice dedicated to making building owners look good. We are a catalyst for innovative ideas and take care in researching the needs of our clients. We offer a depth of knowledge, experience and resources required for public and private building projects of all sizes and complexities. Serbin Studio is experienced in all variations of project delivery construction systems such as Design-bid-build, Design Build and CM@Risk. Our project range from small architectural sculptural projects in public spaces, improvements to office spaces, Data Center development, tenant improvements within retail environment, ADA upgrades etc. Our Mechanical, plumbing and electrical engineers, structural engineers, landscape architects, civil engineers and specialty consultant team members have been working successfully with us on past projects for the last decade. We strive to work with the best of the best to ensure our client will, in the end, be able to say that the design and construction process was worth the effort. Serbin Studio projects include a data center, theatres, tenant improvement, public housing, public transit, medical, and master planning for Main Street communities. Our clients tend to be repeat as we strive to provide exceptional services so their experience wants them to come back for future projects. Our design services range from small building upgrades to building systems, consultation for upgrade to building finishes, consultation about building code or ADA issues, graphic design for marketing materials and vicinity maps etc. Architectural services range from beginning programming, conceptual designs, schematic design, design development and construction documentation. Services such as digital modeling, masterplanning, cost estimating and construction management are also available. 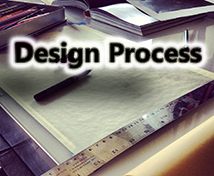 Our goal is to make the design and construction process as seamless as possible. To assist in answering questions during design and be a third eye during construction to ensure that the contractor is using the materials and products specified and that the end product is achieved.